Want to come to church, but don't have a ride? Let our van pick you up! Sunday's the van route will begin around 8:30 am to make it to 10:00 am Sunday School so please let us know the day before if possible. 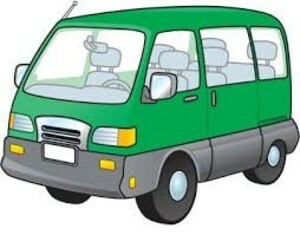 Wednesday's the van route will begin around 5:30 pm so please let us know at 5:00 pm at the latest. If you would like a ride, please call Glenda at 405-395-0086. Welcome! Here you will find information concerning our church and its ministries. Our church is a warm and loving church, and we want you to feel comfortable and at liberty to call on us for anything you need. If you are considering a new place of worship or a relocation to our area, we would love to have you be our guest. Physical: 45703 Garrett's Lake Rd.